1931. Quadruple screw turbo liner 'Monarch of Bermuda'. 1936. 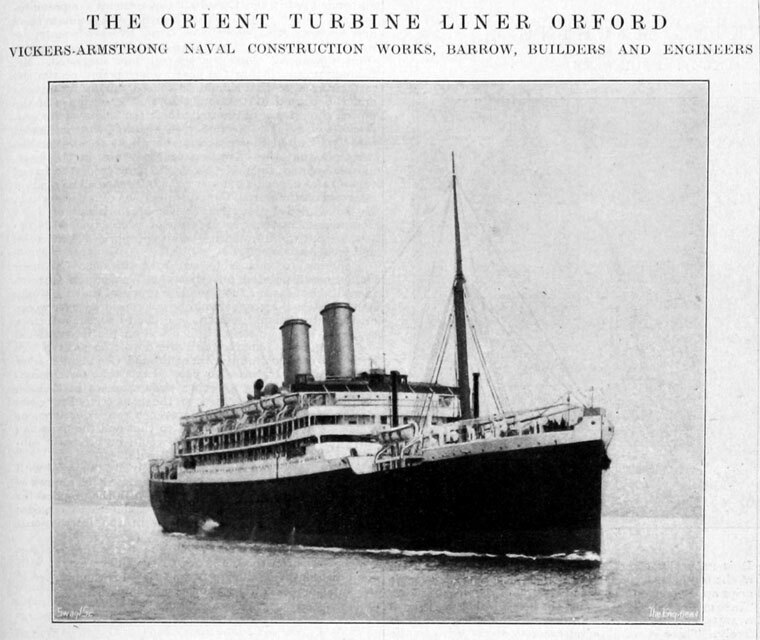 New Zealand liner Awatea. 1946. 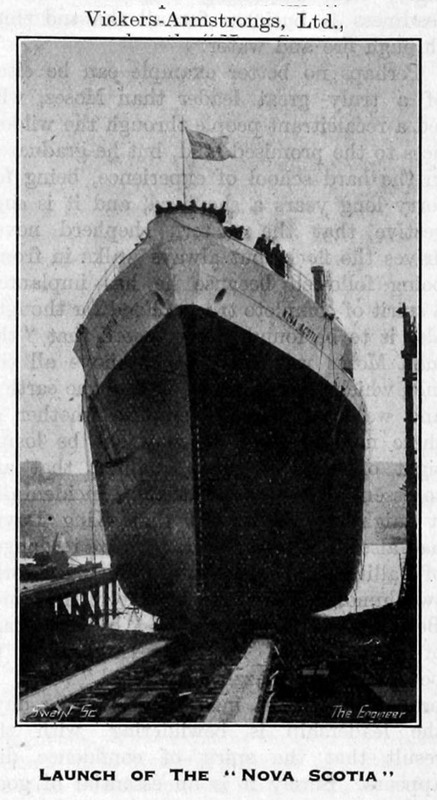 Launch of the Nova Scotia. Vickers-Armstrongs Ltd were shipbuilders from 1928-1968. 1928 Walker Naval yard was closed down in the Autumn. 1931 Low Walker was combined with the Dobson and Tyne Iron Yards and benefited from a revival in merchant shipbuilding until 1931 when all three were closed down. 1934 The Walker Naval yard re-opened again having only been briefly reopened to build the Furness Bermuda liner Monarch of Bermuda (2242/31). 1935 The Hebburn dry-dock of Palmers Shipbuilding and Iron Co was taken over by Vickers-Armstrongs and continued to trade as Palmers (Hebburn). 1940 The 'King George V' was completed and served with distinction in many battles. The carrier Victorious was launched on 14th September 1939 and completed in May 1941 and took part in the hunt for the German super battleship Bismarck in the North Atlantic. Bismarck was eventually sunk by the battleships King George V and Rodney, sister of Nelson built at the yard. WWII There was massive production during World War II with one battleship, four aircraft-carriers, three cruisers, 24 destroyers, one monitor, 16 submarines and many motor and tank landing craft. 1942 The Low Walker Yard was re-opened to build standard ‘B’ type Empire tramps of 10,000 dwt. Orders for sixteen more warships were cancelled at the end of the war. 1946 The Walker Naval yard was switched over to merchant shipbuilding. The first merchant ship to be built after the war was the heavy-lift ship 'Empire Athelstan' of 7,795 grt. 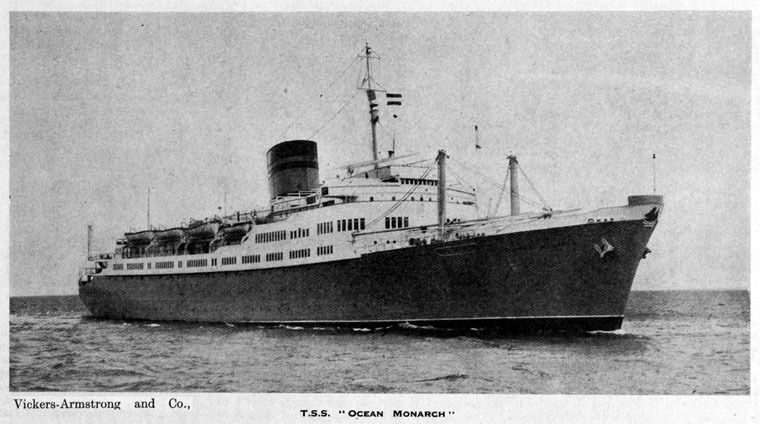 1947 The 'Monarch of Bermuda' suffered a fire to her passenger accommodation on 24th March. 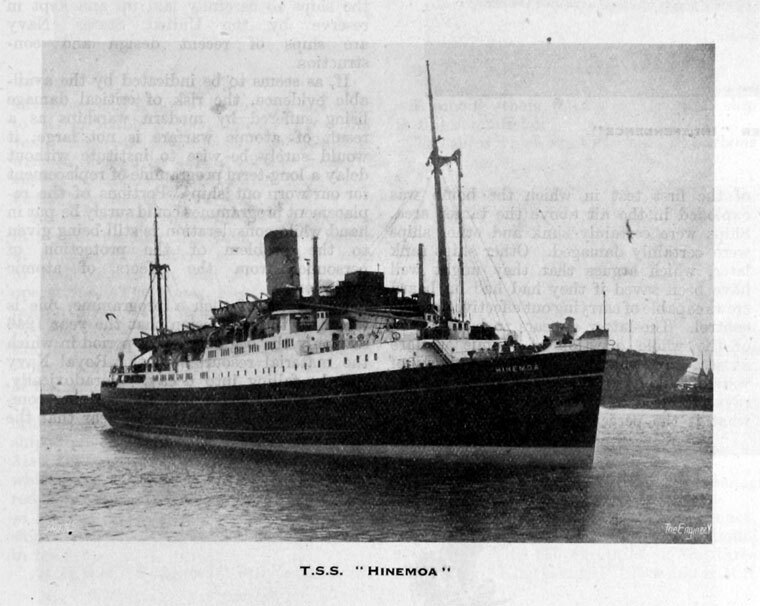 She was rebuilt by another company after being purchased by the Ministry of Transport and relaunched as New Australia. 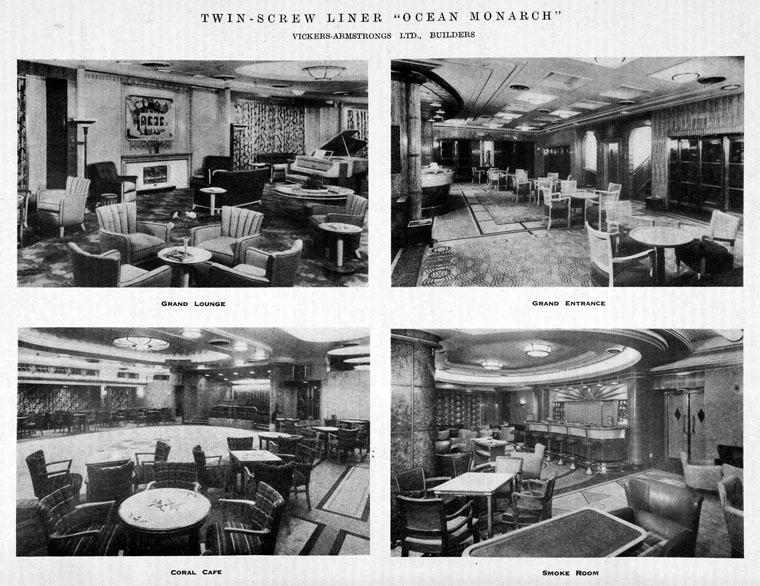 1950 A replacement for the 'Monarch of Bermuda', the 'Ocean Monarch' was launched on 27th July Owned by Furness, Withy, it had room for 414 first-class passengers and she had a top speed of 18 knots. 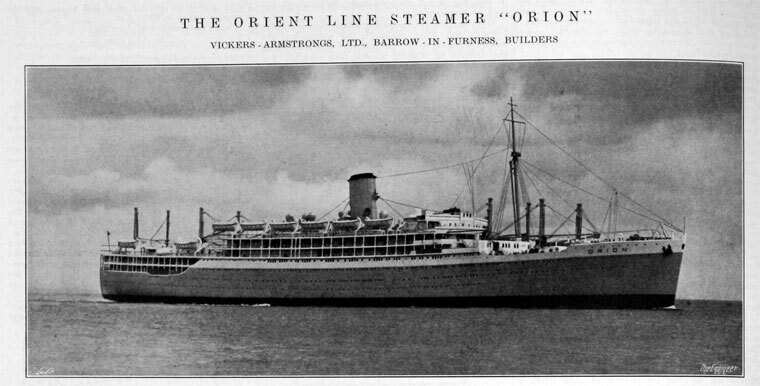 She sailed on her maiden voyage from New York to Bermuda on 3rd May 1951. 1950 Tanker building resumed at the yard as their slipways were big enough to accommodate the giant vessels being made. 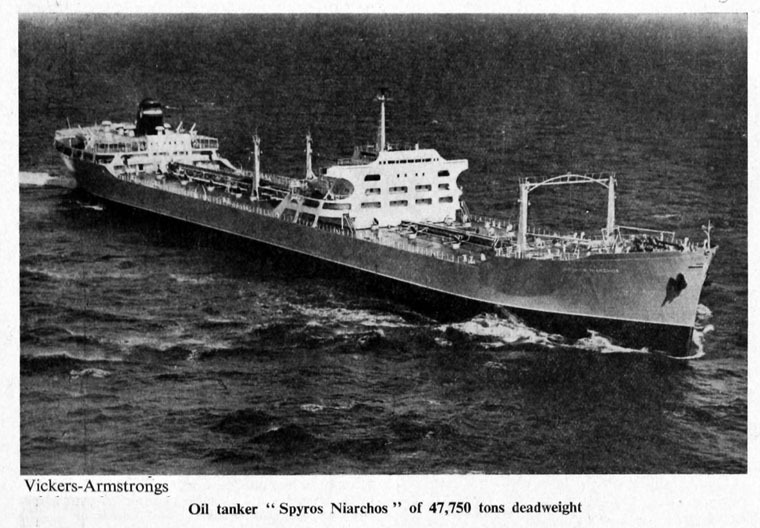 The largest tanker made was 'Serenia' at 71,250 dwt and 817 feet in length which was also the largest British tanker at that time. 1955 The shipbuilding division was renamed Vickers-Armstrongs (Shipbuilders). 1966 The largest warship completed in post WWII years at the yard was the guided missile destroyer Glamorgan which was powered by steam and gas turbines. In April of the same year the diesel-electric train ferry Aranui left the yard. 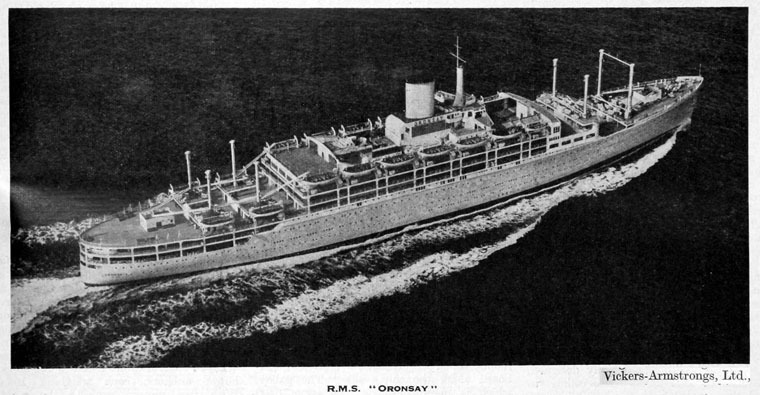 1947-67 Over 30 cargo-liners were manufactured. During the 1960s Transatlantic flight began to replace passenger voyagers and many ships only had short lives on the sea. 1968 On 1st January the Walker Naval yard became the Walker Yard of Swan Hunter following a recommendation for merger made by the Geddes report. A number of large container ships, bulk carriers and passenger liners were manufactured at the yard. 1980 The refrigerated container ship Dunedin of 18,140 grt was the last ship launched by the Walker Yard on 15th February, with capacity for 768 containers including 358 refrigerated. In April the same year a large oiler and replenishment ship for the Iranian navy, Kharg, was embargoed by the British Government because of the Iraq-Iran War and wasn’t released until October 1984. 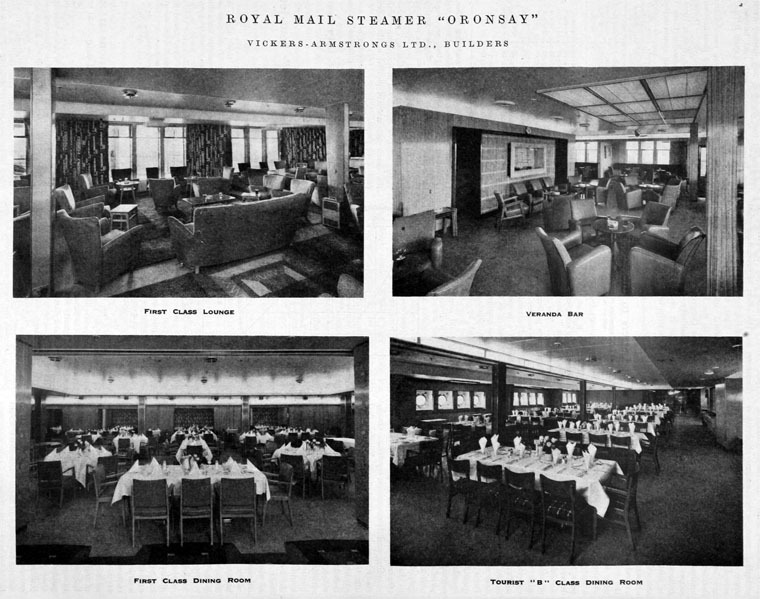 1983 The yard was put on a 'care and maintenance basis' while negotiations went ahead for her redevelopment. 1988 The offices were demolished; industrial hose and North Sea Oil companies replaced the shipyard. 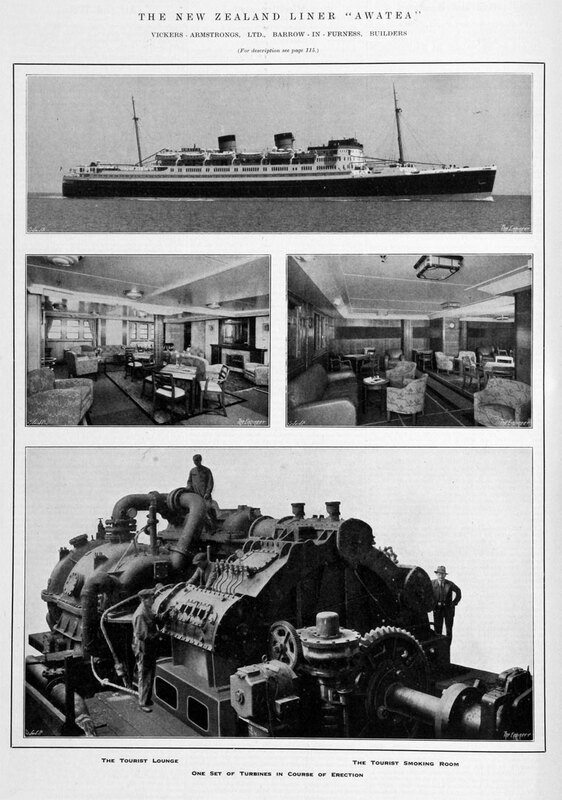 The Aircraft and Shipbuilding Industries Act also led to the nationalisation of Vickers' shipbuilding division as part of British Shipbuilders. 1986 This division was privatised as Vickers Shipbuilding and Engineering Ltd (VSEL) later passing to the GEC group as part of Marconi Marine and survives to this day as part of BAE Systems - BAE Systems Submarines. This page was last edited on 25 November 2016, at 11:26.